While you might initially think that a familiar company like Verizon would provide the best option for business phone service, a head-to-head comparison between Ooma and Verizon told a different story. At Ooma, we analyzed business VoIP phone service from both companies and compiled independent reviews to see how the two services stacked up. The resulting comparison found Ooma Office to be clearly the better option. Below we’ll compare the features, service reliability, pricing, contract terms, and customer service offered by Ooma Office and Verizon Business Digital Voice so you can decide which phone service is best for your business. With a VoIP phone service (Voice Over Internet Protocol), calls are not transmitted over traditional phone lines or through cellular voice. Instead, calls are transmitted over your internet connection. Using VoIP has a similar experience to using a landline. You get a dial tone and place calls as you ordinarily would, and the behind the scenes technology that powers VoIP transmits your audio digitally using the internet. VoIP phone system offer robust businesses features, and some providers can integrate those features with the mobility of a cell phone. With the mobile app, users have full access to make and receive calls on their work line, even when they’re far from their desk. Because VoIP is software-based, service can be easily updated at any time, with new functionality added with a software update. Comparatively, updating traditional phone networks would typically require new cables and infrastructure. 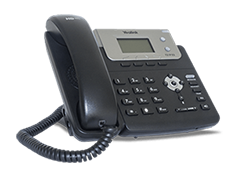 The flexibility and features that are provided with a VoIP business phone provide a richer telephone experience with greater functionality, and it typically does so at a much lower cost. However, not all VoIP services are equal. Let’s look at the VoIP business phone offerings of Ooma and Verizon to see how the two compare. Verizon is a recognizable name in phone service, but that brand familiarity may be the only advantage the company has. In the 2019 PC Magazine Business Choice awards, VoIP business phone services were ranked on several key factors. The results revealed that Verizon Business Digital Voice had below average scores for reliability, call quality, ease of use, and customer satisfaction. Comparatively, the same PC Magazine study named Ooma Office as the #1 VoIP phone service, lauded for its reliability, minimal need for tech support, and high likelihood of users to recommend the phone service. In fact, Ooma Office has been named the #1 phone service for the past six years! While Ooma was the top pick, Verizon scored as #11 in 2019, #12 in 2018 and #14 in 2017. Verizon and Ooma offer a similar set of business calling features including call hold, call transfer, conferencing, a mobile app, voicemail audio to email, and more. However, there are some feature differences, so review the two feature sets to see which service has the business tools that you need. The business phone costs are dramatically different between Ooma Office and Verizon Business Digital Voice. With Verizon’s Business Digital Voice, service costs 151% higher, with rates starting at $50 per user per month for service with no annual contract. If you’re willing to sign up for a 2-year contract, the price drops to $35 per user per month for up to 5 lines. New Verizon Business Digital Voice customers must also pay a $99.99 activation fee and a $200 installation fee. To use the service, you can update your phone hardware to an IP phone, or still access all of the calling features with your analog phone by purchasing the required converter at $85 for a 2-port converter or $130 for 4-port converter. 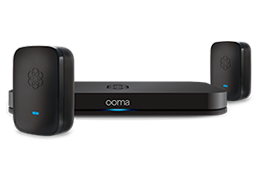 In comparing contract-free annual telephone service for an office of five people, Ooma would be $1,903 cheaper than Verizon, even after the one-time hardware purchase of the Ooma Base Station for $199.99. Even when comparing Ooma’s contract-free rate to Verizon’s reduced rate if you agree to a contract, businesses with five phone lines would save $953 per year or $1,906 over the two-year contract term. Not only does choosing Ooma save you money, but the #1 business phone service does not require contracts and is easily scalable as your business needs change. Learn more about Ooma Office phone service and try our savings calculator to see how much you can save by switching your business phone service.